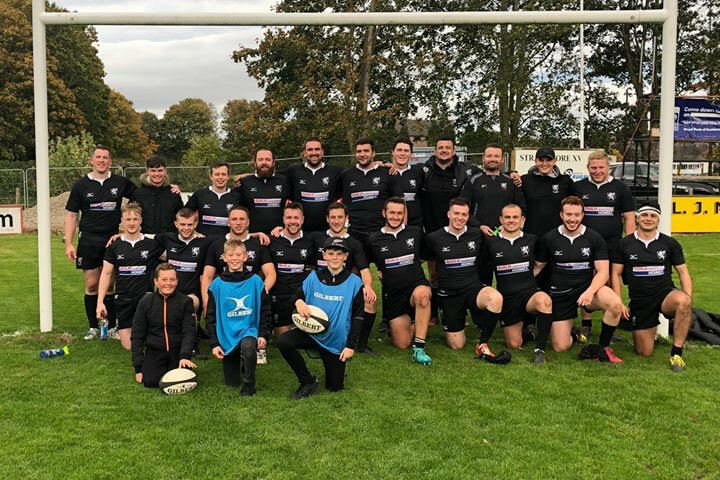 Strathmore first XV maintained their undefeated start to the season on Saturday with a well earned victory over 2nd placed Glenrothes at Inchmacoble. With 5 wins from five and picking up 5 bonus wins on the way Strathmore have set out an early marker showing their intentions this season. Glenrothes worked hard through out the game and took a bit of breaking down before the Men in Black could finally looked comfortable towards the end of the second half. It was an exciting game for the large home support seeing Strathie scoring 5 tries and 3 penalties compared to the visitors 3 tries. Man of the match for Strathie was Marc Scoular.